Do you have that one person in your life who, no matter how many times they let you down, you can’t seem to give up on? Despite everything, you’re still under the belief that you have the ability to help that person; especially from themselves. 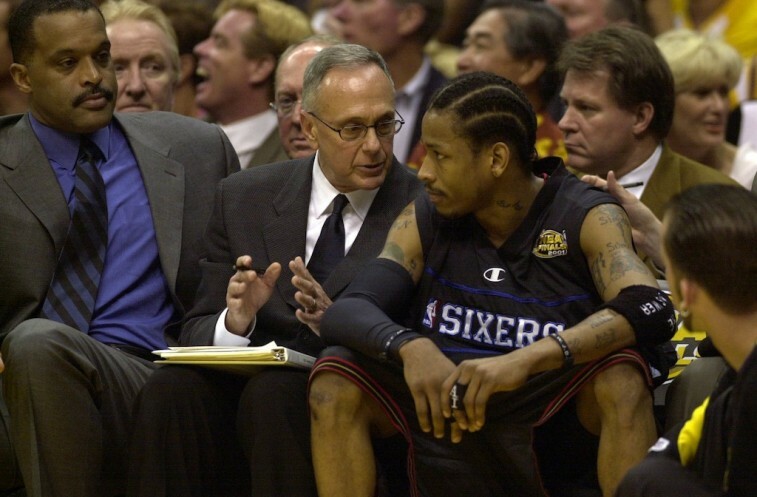 For legendary coach Larry Brown, that person is former player Allen Iverson. And even today, while neither are officially associated with the Philadelphia 76ers, Brown can’t help but make a plea on behalf of the once NBA star. While speaking with Mike Sielski of the Philadelphia Inquirer, Brown expressed his hope that the Sixers organization would find a way to bring A.I. back into the fold. Sielski, himself, believes that the Sixers would be making a terrible mistake by letting Iverson back into the fold. Using Ken Baab’s Iverson biography — Not a Game – as an example, the Inquirer writer notes how the former All-Star was abusive, destructive, and responsible for the deterioration of his life on and off the court. It’s a strong case for why the 76ers franchise should want nothing to do with the former star. And yet, despite it all, we can’t help but think integrating Iverson into the organization would be a good move for all parties involved. We’re not here to condone some of the awful things that Allen Iverson did in his personal and professional life. It’s pretty clear that his life after basketball has been filled with one struggle after another — most as a result of his own fruition. But it would be wrong to suggest that he doesn’t have anything to offer to a franchise that he spent the better part of his life helping return to relevance. 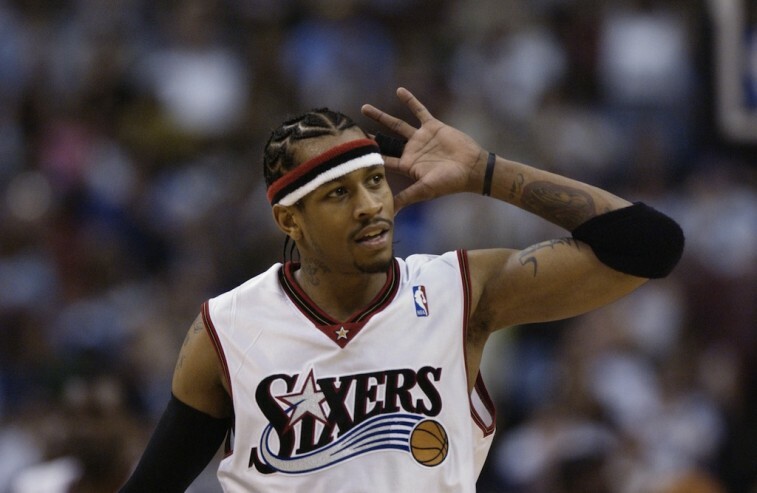 In his 12 seasons as a member of the 76ers, Iverson averaged 27.6 points per game, led the league in scoring four times, made 11 All-Star teams, won the 2000-01 MVP award, and took the team to the NBA Finals in 2001. He played with grit and toughness and style. Night in and night out, he took a punishment on the court. Sure he could be a headache at times, but he was also one of the greatest pound for pound competitors in NBA history. His swagger resonated with the Philly faithful — fans connected with him whenever he stepped out onto the floor. That’s part of Brown’s selling point: Iverson still matters to the city of Philadelphia. “What did he mean to Philly?” Brown said. “What does this franchise need more than anything right now, besides players? It needs a shot in the arm, something where you can say, ‘They’re trying to do it the right way.” We’re not sure if we agree that Iverson’s addition would show that the team is “trying to do it the right way,” but we believe that it act as a clear example that this team is not just looking toward the future, but also literally embracing its history. For an organization that’s still trying to find its identity, it could do worse than including a major piece of past success. While we can’t help but respect Brown’s persistence, and Iverson’s desire to work with the team’s decision makers, we don’t think A.I. is ready or qualified to be in that particular position. He doesn’t have any experience in player personnel and we’re not quite sure he’s shown a readiness to handle any sort of legitimate responsibilities. But we think if the Philadelphia Sixers were to give him a shot at a lower-level position and an opportunity to prove himself responsible, then it never hurts to have another smart basketball mind in the building. As the Philadelphia 76ers continue their rebuilding process, the franchise will be on the lookout for any answers that may prove to contribute to its current and future success. Is Iverson The Answer they’ve been looking for. There’s only one way to find out.